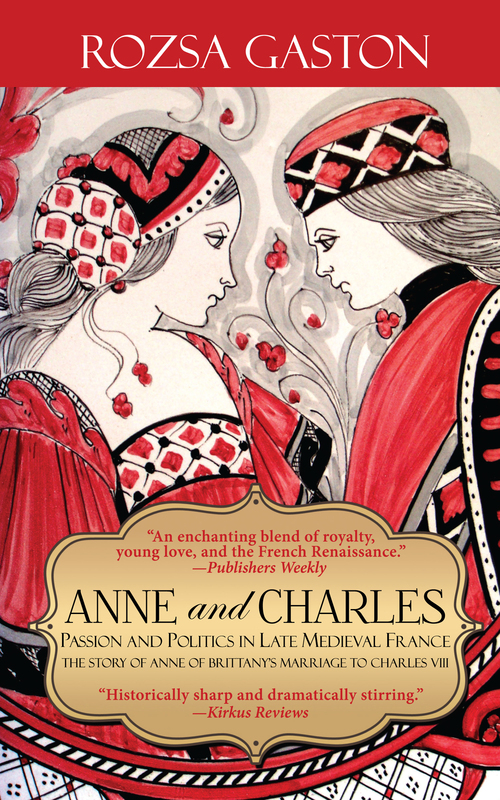 Audio rights: Audio rights for the Anne of Brittany series have been acquired by Tantor Media. Upon the death of Anne’s father, Duke Francis II, she becomes the ruler of Brittany at the tender age of 11. Determined not to have her authority usurped by meddling advisers or foreign powers, she searches for a suitable husband whose allegiance will bring peace and security to Brittany. She’s offered protection—as well as condolences—by King Charles VIII of France, but she rejects his offer as an imperialist scheme to gain dominion over Brittany’s lands. In response to what he perceives as defiance, he attempts to impose French rule by force. Meanwhile, Charles has problems of his own. When his own detestable father died, he was too young to ascend to the throne, and so he labors under the officious rule of his sister, Anne de Beaujeu, the Duchess of Bourbon, who serves as regent until he reaches the age of majority. Charles eventually offers Anne a path to peace. If she marries him, he’ll immediately end his siege of Brittany. She’s filled with resentment, though, over his harsh treatment of Brittany and suspicious of any brokered compromise that surrenders her authority or ensures the future of Brittany will be in submission to a foreign ruler. Also, there’s the thorny problem of her marriage to Maximilian, the Archduke of Austria, who will one day become the Holy Roman Emperor, and an arrangement for Charles to marry his daughter, Marguerite. 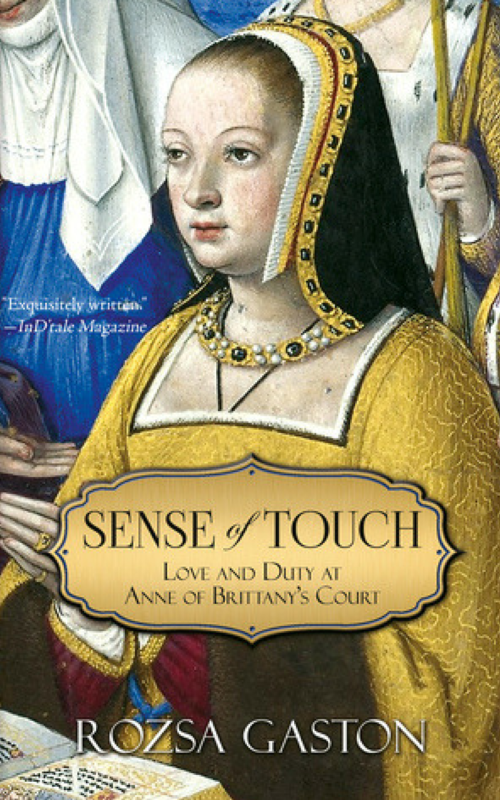 Gaston’s (Sense of Touch: Love and Duty at Anne of Brittany’s Court, 2016, etc.) research is admirably thorough—she artfully brings to life 15th-century Europe. Also, while the court politics of the day were knottily complex, she disentangles it all with laudable clarity. Gaston’s writing is elegant and historically authentic but also accessible. She doesn’t burden the reader with an endless train of linguistic anachronisms in order to achieve historical accuracy. Further, the romance between Anne and Charles is touchingly presented, one that traveled from suspicion and resentment through sober pragmatism to genuine love. What’s Anne and Charles about? Charles VIII of France is king, but he doesn’t feel like one. 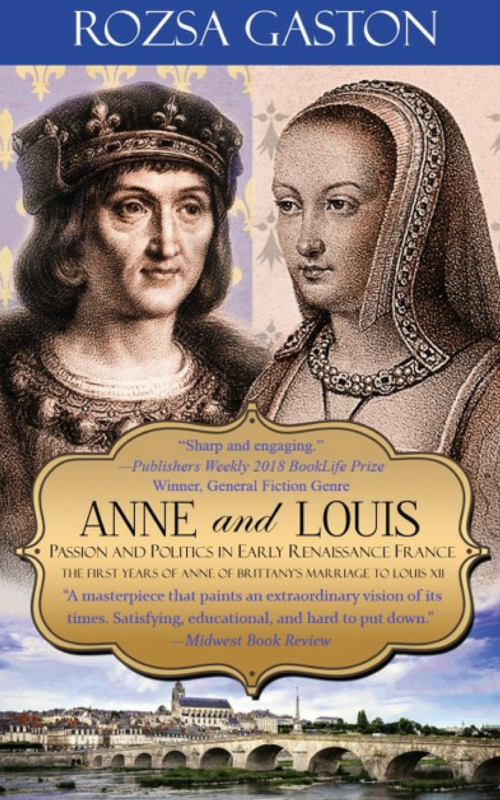 When he marries Anne of Brittany in a political alliance, he acquires a wife who already feels like a queen and who guides her husband to thinking like the king he already is. The brimming self-confidence of Brittany’s ruler inspires his own, and fans the flames of their attraction into a lasting love. But can they achieve their one most important goal together? Anne and Charles audio edition here.